1. 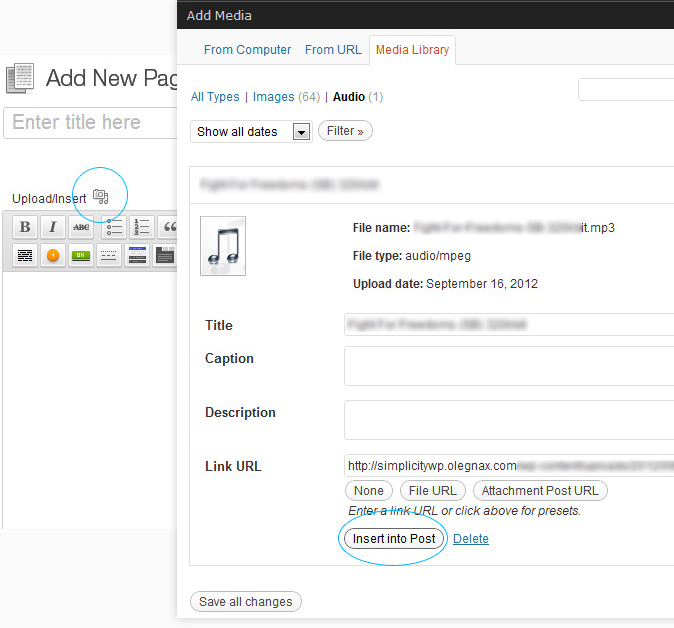 Click on “Upload/Insert” icon just abow the editor. Add media popup will appear.